There’s something about white kitchens that attract us all. Not only are they gorgeous, but they make even the smallest of spaces seem large and airy. 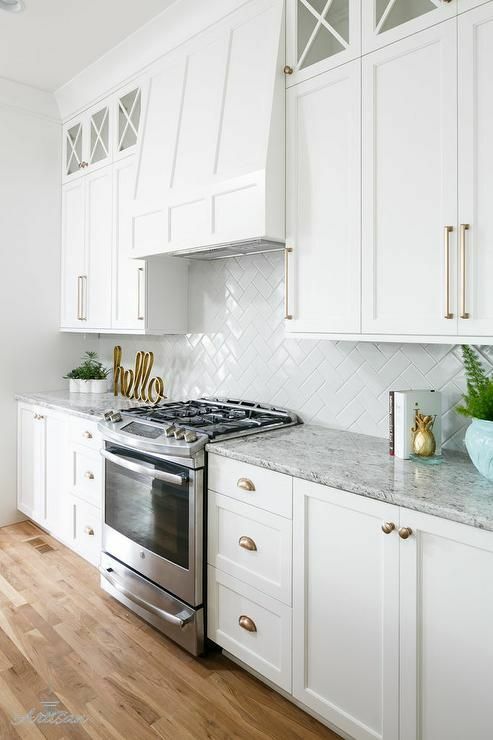 If you’re considering upgrading your kitchen, below are a few tips that can be done with minimal cost and get the maximum results you’ll love. As you get busy with your home projects, may serenity surround you and keep you calm and positive… life is so short we might as well stop and smell the roses! This will take your kitchen from drab to fab! 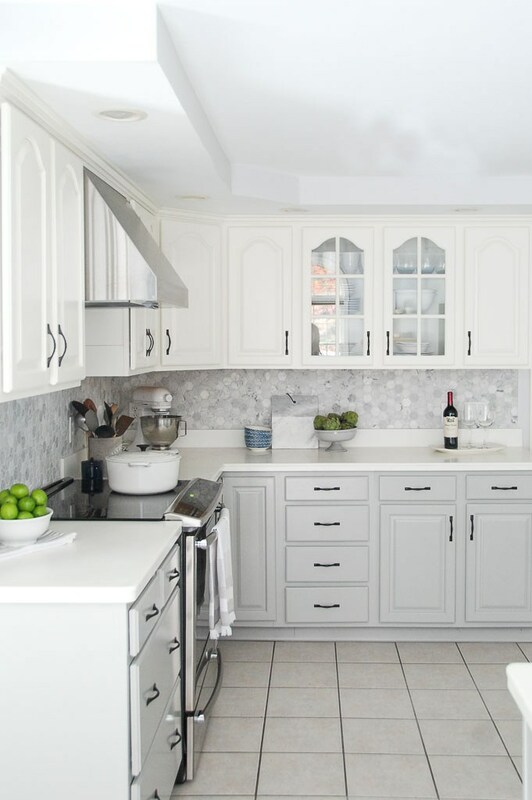 I personally love white kitchens because they brighten up the space and give the room a larger feel. 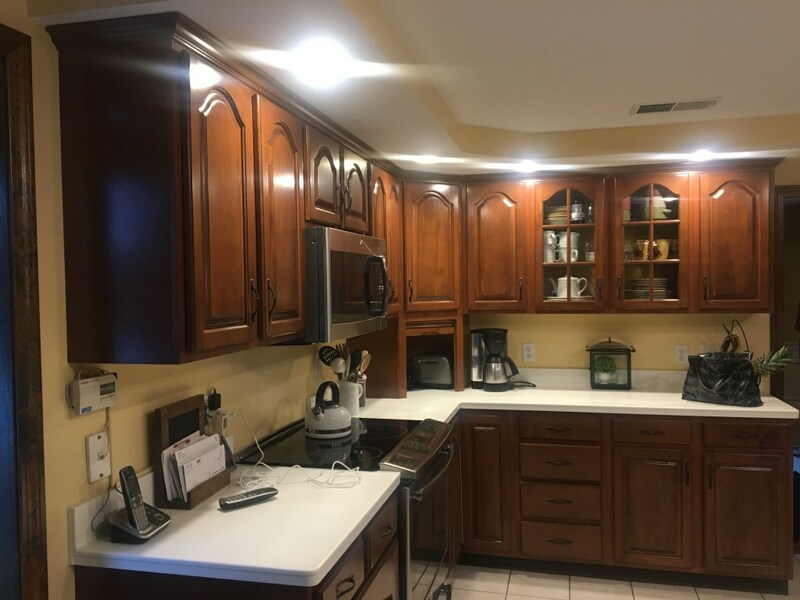 You can paint the cabinets yourself or hire a pro. I’ve done some cabinet painting myself (with my daughters!) and it was extremely helpful to use a good primer and a high-quality paint brush. I’ve used Valspar “Stainblocking Bonding Primer Sealer” and a Purdy brush for my projects, which you can easily find at your favorite home improvement store. 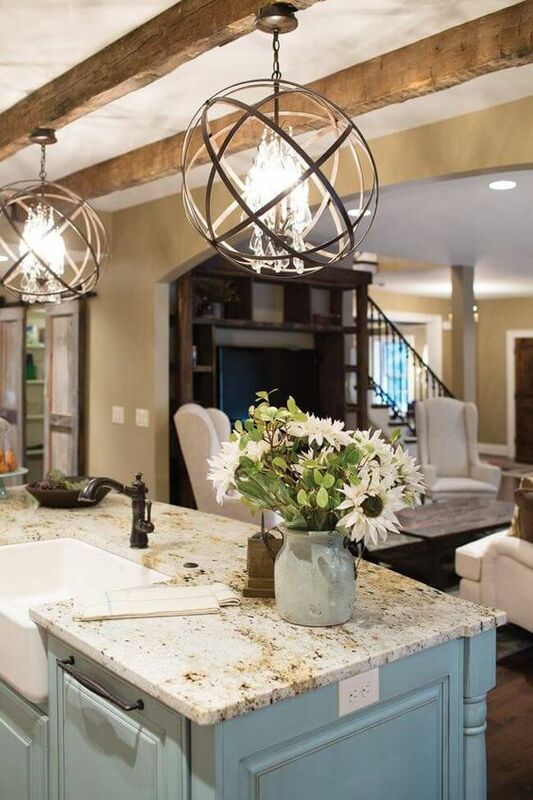 See how this kitchen went from dark to bright? From drab to fab! 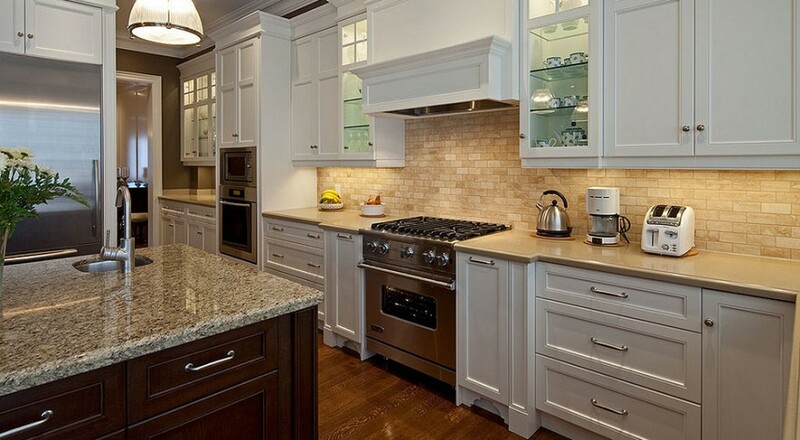 There are a myriad of backsplash options available… from trendy to timeless and everything in between! You can never go wrong with a neutral traverine that never goes out of style. 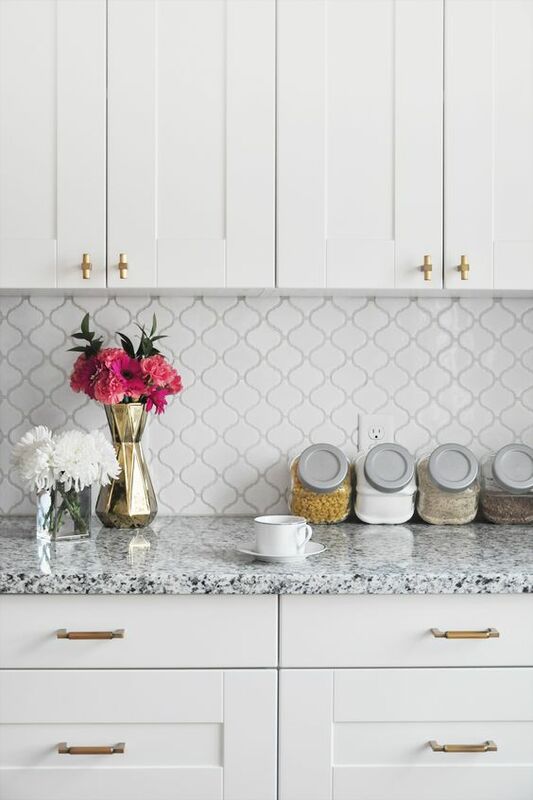 I personally love this white kitchen with the quatrefoil backsplash. It’s simply gorgeous! The timeless Traverine tile in the example below is just beautiful! 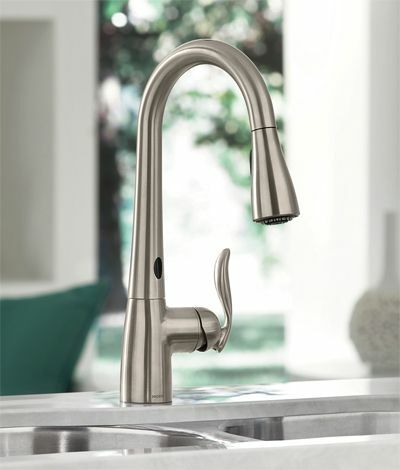 You can easily find a great faucet to replace in your kitchen! It does not have to cost you an arm and a leg. I found mine similar to the one below for $45 bucks… a $225 faucet for $45 is not bad at all 🙂 My sis found hers for about $75 through OfferUp as well… and she got hooked on it! There are many local buy/sell outlets that you can easily find in Facebook too. I LOVE finding great deals! Now this one tip is a great option to give your kitchen a final magical touch! I actually bought a beautiful oil-rubbed bronze finish globe fixture similar to the one in the image below that’s been sitting in my closet for over a year! It was such a good deal I found in Amazon I could not let it slip by. I can’t wait to show you my before and after kitchen photos with the new fixture too! 1. Home staging tips specific to your house that covers staging and minor repairs. I’ll help you highlight your home’s best features. Each house is unique. I walk through your entire house and provide my professional advice on how to make the home more inviting to attract potential buyers. I’ve shown a ton of homes and I know what buyers look for. HINT: It’s all in the details! 2. Home seller protection insurance. Did you know the home seller is the only one not protected in a home sale? Agents, brokers, inspectors and title all have legal insurance coverage for lawsuits. In the litigious society we live in, it is important to be protected. When you list with me you’ll get protection. 3. Professional photography… I know you’re probably thinking that should be standard! You’ll be surprised how many homes are poorly presented… including high-dollar homes! If you want a successful sale by attracting the right buyers to your home, you need stunning photography. Period. I will showcase your property with jaw-dropping photos that magnetize the right potential buyers to your home when you list with me. 4. Guidance… Oh my… with all the myriad of forms and processes involving a real estate transaction, it can be confusing, overwhelming and stressful. You’ll wonder why so many forms? Well, the litigious society we live in is partly to blame. But, have no fear I’ve got your back! 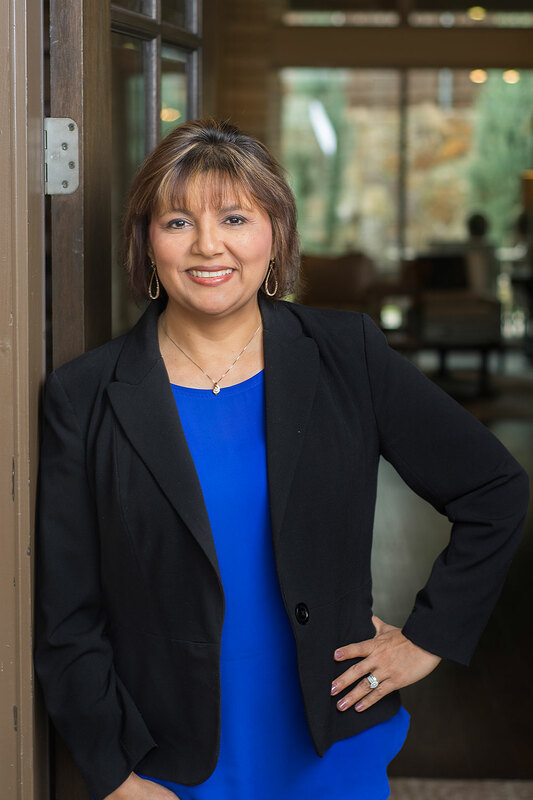 When you list with me, you’ll be sure to get an experienced professional who negotiates in your favor and guides you throughout the sale process. My goal is to make your experience easy and stress free as possible. Ready to sell or buy? Call me today and I’ll be happy to help! I’m never too busy for your referrals! Thank You for your trust.